If you’re one of the millions of Americans suffering from hearing loss, hearing aids are likely to be a part of your recommended treatment plan. At Columbine Hearing Care, we are committed to providing each and every one of our Littleton patients with the latest hearing loss treatments and technologies. In order to find the right pair of hearing aids for your lifestyle, activity level and personal needs, we will work closely with you throughout the hearing aid selection process. 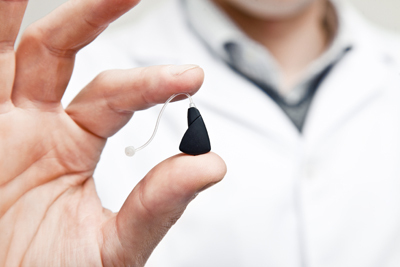 Modern hearing aids are sleek and subtle, and they offer unparalleled features and functions. This means more choices, more flexibility and more freedom for our patients at Columbine. Find out more about today’s hearing technologies by reading through this helpful information and scheduling an appointment at our Littleton hearing center.